Tok Tokkies belong to the Tenebrionid family, the darkling beetles. 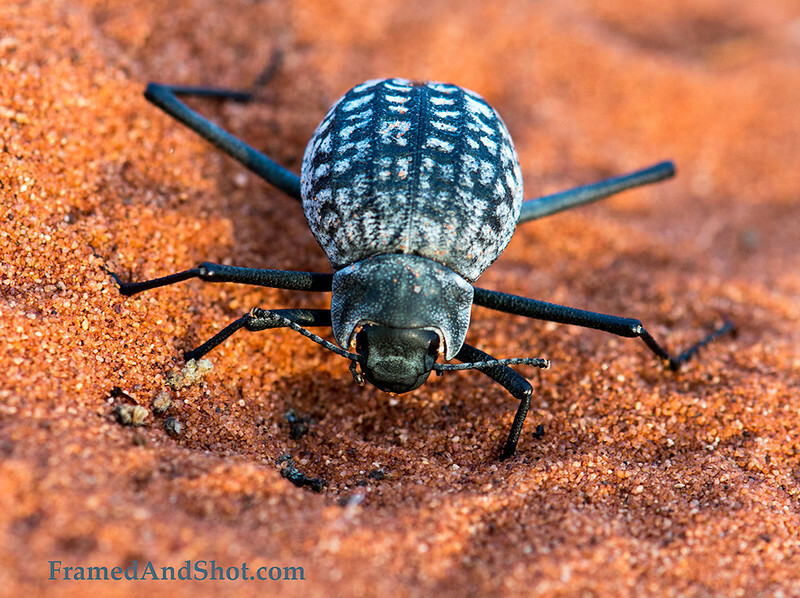 There are about 200 species of that beetle family in Namibia and about 20 have adapted to live in the arid dunes. Tok Tokkie is the common name for all the beetles which produce a “tokking” sound when tapping their rear end on the ground. They perform this serenade in order to attract a mate. Tokkies of the Namib have developed extra long legs which keep them away from the hot sand. These legs are specially adapted for running on the Namib sand. Research has shown that the Namib beetles are much slower on sand of other deserts.